Ferrous and Non-Ferrous Metals - Its Definition, List, Properties. Ferrous and Non-Ferrous Metals – Its Definition, List, Properties. In this article, you gonna learn, that what is Ferrous and Non-Ferrous Metals, Its properties, definition and their list. The ferrous group of metals includes all the types of iron, steel, and their alloys. Actually Iron (Fe) is the principal element of Ferrous Materials. In all the jobs ranging from the manufacture of a primitive type of agricultural implements to advanced types of Air Crafts, ferrous metal and their alloys occupy a prominent position. In the automotive, building and bridge construction, railways, light and heavy machinery, shipping and transportation. The wide abundance of iron ore in almost all parts of the world. The economical extraction of iron from its ore. The flexibility that can be induced in the mechanical properties of iron by combining it with other metals and/or by heat treatment and such other methods. These facts explain the reason that for the considerable time, the annual global production of Ferrous Metals has been far in excess than the combined production of all Non-Ferrous Metals produced in all the countries of the world. Pig Iron is the first or basic form in which iron is prepared as a metal from its ores. 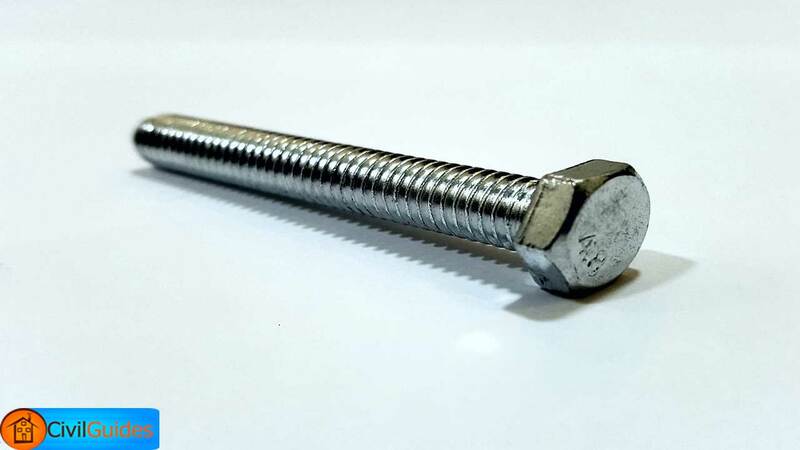 It is, therefore, impure and crude and requires subsequent processing to develop Cast, Wrought iron, and Steel, which are the common Ferrous Metal used in construction and industries. Following are a few types of pig iron distinguished on the basis of their properties. It is also called foundry pig. It is soft in character and rich in carbon. It is produced when the raw material is burnt at a very high temperature. It is also called forge pig iron, as it is hard and brittle and can be converted only by using pressure. This type contains sulfur as the main impurity and hence is considered inferior in grade. It is specially used in the manufacture of steel in the Bessemer process, because of its freedom from sulfur and phosphorous. It consists of remelted pig iron -containing carbon 2-4 percent- and a small proportion of manganese, silicon, and sulfur. The remelting process is done in a special furnace called Cupola. A Cupola is in essence to a small sized blast furnace. 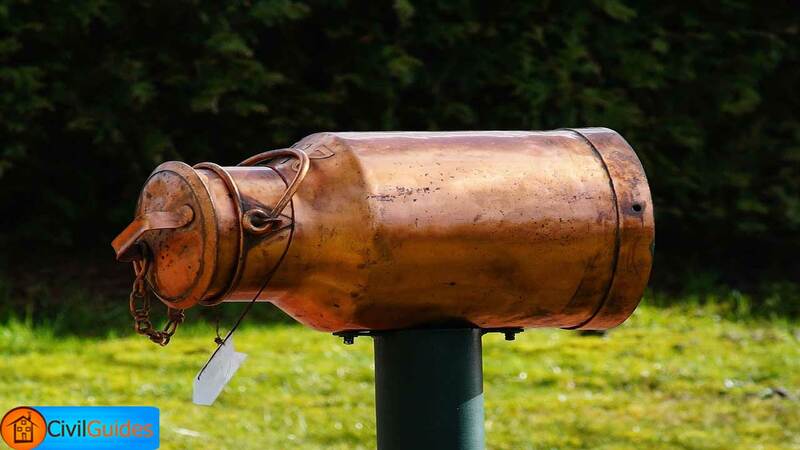 It is 5 meter in height, about 1 meter in diameter and cylindrical in shape. The cylinder has an inner lining of Refractory Bricks which is provided with Tuyers near the bottom for injecting the supply of air blast. Following are the common types of cast iron used in engineering materials. Carbon – 3.5-4 percent (as graphite). Carbon – 0.5 percent (combined). It is soft and ductile. It is commonly used in castings, dies, molds, machine frames, and pipes, etc. It is that type in which carbon is present in the combined form as iron carbide (FeC), not as graphite. It has a shining white color and a bright metallic white luster. It is very strong, hard and resistant to Wear and Tear. And quite Brittle as well. Carbon – 2.5-3.0 percent (as iron carbide -FeC-). It is actually “white cast iron” in which property of malleability has been developed by the process of heat treatment. The white cast iron is subjected to a process of annealing, i.e., heating in an annealing oven at a temperature of 875 Centigrades for 24-72 hours. After that, it is cooled gradually to room temperature. It is tough, ductile and strong. It possesses useful properties of both cast iron and mild steels. It is used in Automobile industries for making rear-axle housing, steering-gear housing, hubs, and pedals, etc. It is used in Railway equipment of a great variety. It is used in Agricultural machinery making and carpentry tools. This group includes those types of cast iron in which one or more alloying elements have been incorporated with a view of increasing the utility of the metal. The usual alloying elements are Nickel and Chromium. Nickel is added to effect an increase in the hardness and resistance to wear. Chromium makes the cast iron extremely tough, strong and ductile. Ductile, Inoculated, Controlled and Chilled cast irons are some other varieties of cast iron, which is specially prepared for some specific applications. The nature of heat treatment. Following is a general account of the properties that depend on composition. Read More: Test for Compressive Strength of Bricks, Absorption, Efflorescence & Size. When most of the carbon is present as graphite (free carbon) – Then it will be soft and weak, e.g., Grey cast iron. But when the carbon is present as Cementite (fixed as Fe carbide), then the metal will be hard and strong. 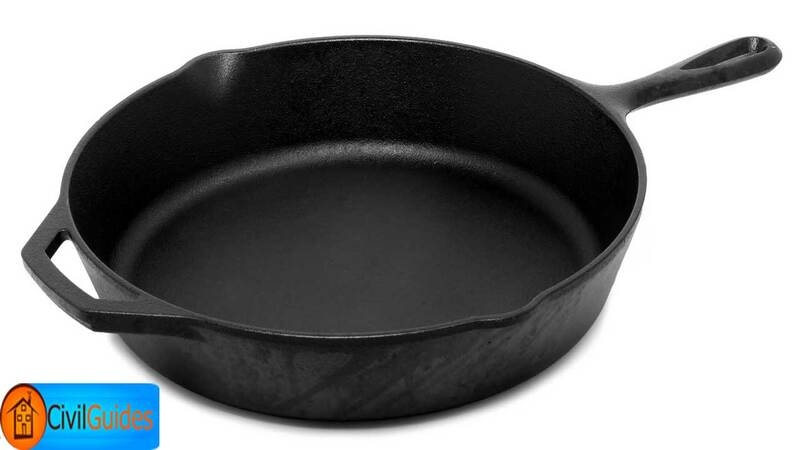 Thus, Cast Iron can be both hard, strong, soft and weak. The tensile strength decreases with an increase in the graphite content. Nickel: It may be added in amounts varying between 0.5-3 percent. The most common types of alloyed nickel-iron are: Nickel, Chilled and High Nickel Cast Iron. Chromium: It is also added in small proportion. The Addition of chromium increases hardness and tensile strength. Generally, chromium and nickel are added together. Molybdenum: It is specially added to increase hardness. This type of treatment changes the properties of cast iron to a great extent. This type of treatment effects the nature of carbon present in the metal. The combined carbon of cast iron gets converted to free particles of carbon. The influence of certain common impurities like phosphorous, sulfur, silicon, and manganese also affect the quality of iron. It is the purest form of Iron, containing all impurities below a limit of 0.5 percent. And carbon is included in these impurities, its proportion being generally less than 0.12 percent. Besides, wrought iron always contains a small proportion of slag in the silicate component. Its most important properties are mentioned below. Strength: It has a tensile strength varying between 2500 to 4000 kg/cm2. The strength will be greater in the longitudinal direction. The ultimate compressive strength ranges between 1500-2000 kg/cm2. Physical: Wrought Iron is bluish in color, has a silky lustre and fibrous structure. It is malleable, ductile, tough and resistant to corrosion. Density: The metal has a density of 7.8 gm/cm3, and a melting point of 1500 centigrade. 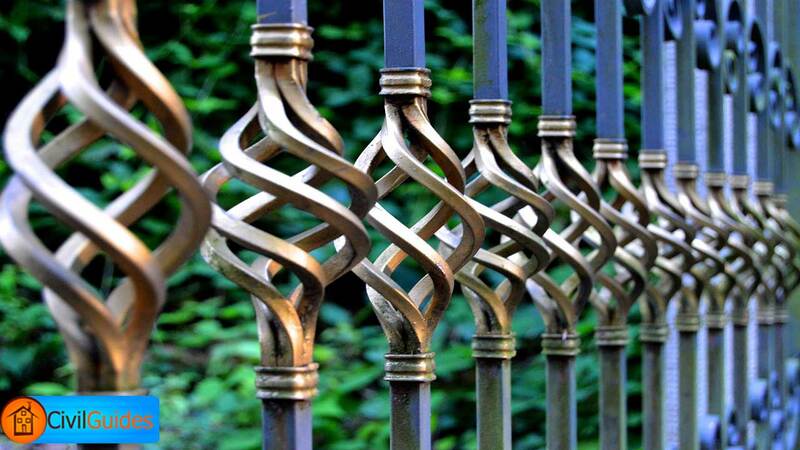 Wrought iron shows good resistance to fatigue and sudden shock. More ever it can be welded with ease. Because of the above set of properties, wrought iron is extensively used as a material for making plates, sheets, pipes, tubes, etc. It is also used in buildings, railways, and marine industries. Steel is essentially a variety of iron-containing 0.1 to 1.5 percent carbon in the form of cementite iron carbide – Fe3C – ). Besides carbon, many other metals may also be present in addition to iron, giving rise to great varieties of steel. If the percentage of carbon exceeds 1.5 percent, the material will become more like cast iron because the carbon will then tend to occur as graphite ( free carbon ). On the other hand, with the decrease in the carbon content (lower than 0.1%), the material would resemble more to wrought iron or pure iron. The best thing about steel is that it has both properties of Cast and Wrought Iron – Compressive Strength of cast iron and Tensile Strength of wrought iron. Due to these properties, Steel is used as a structural material in all types of situations. Steel is a versatile material of modern age. 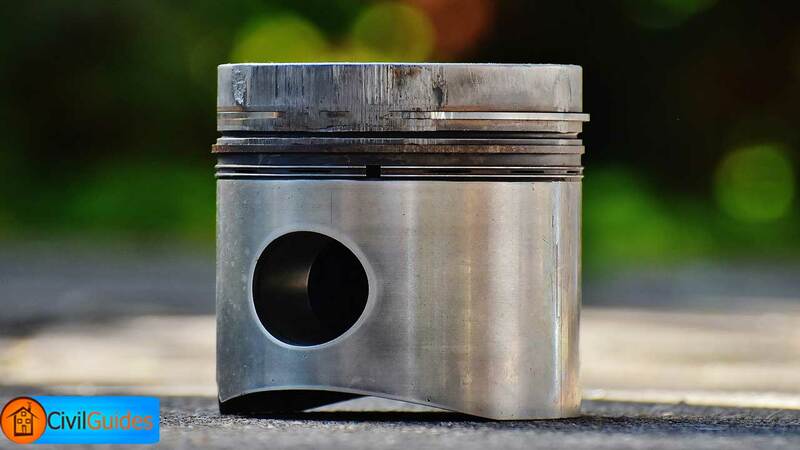 Its properties can be varied over a wide range by varying its composition and by subjecting it to various mechanical and heat treatment processes. Steels can be classified in many ways such as on the basis of the methods used in their manufacture, on the carbon content, or according to their use. It can also be classified on the basis of steel casting. It is, however, the classification on the basis of their chemical composition is commonly adopted. Following are the major groups of steels. This is the first major group of steels. Carbon is the only controlling component in them besides iron. They are further subdivided into 3 subcategories. The tensile strength of the steel may be increased without affecting its workability. The resistance against very high temperature, abrasion and corrosion may be improved considerably. The electrical, magnetic and thermal properties may be modified in the desired direction. So, finally, Ferrous Metals List comes to an end. So, now let’s move on to the Non Ferrous Metals. As we know that many Ferrous Metals like steel and iron is used commonly in buildings and engineering industries. But many non ferrous metals and alloys have also been used to great advantage in both buildings and industries. In fact, in some cases, they form far better materials than iron and steel and have replaced them to a great extent. 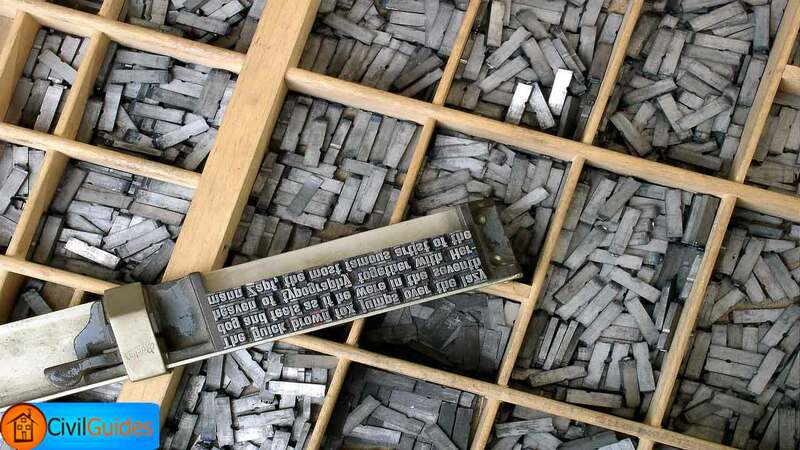 However, the non-ferrous metals are comparatively costlier and are selected for use only when they satisfy certain specific requirements and possess some definite properties. Following are the special advantages of non-ferrous metals over ferrous metals in some selected areas. Compared to steels, they have been used in i.e., construction of bridges and roofs in situations where not much strength is required. In these situations, they have been found to save 50% of extra weight. High tensile strength is required at elevated temperatures. High ductility and malleability are required. High resistance to heat is required. High electrical conductivity is required. In the above fields and situations, mostly non ferrous metals are used. Aluminum is a very common component (about 8 percent ) of the earth crust, the most common ore of aluminum is Bauxite (Al2O3. n H2O). As a metal, aluminum was first discovered in 1825. Following are some important properties of this metal. It is a white metal and shows brilliant lustre when fresh. It is very ductile and can be transformed into any shape by rolling, stamping, extruding, forging, drawing, and spinning. It can also be cast into any shape by any method of casting, i.e., die casting, chill casting, and sand casting. It has a tensile strength of about 900kg/cm2 in the annealed condition. It can be improved to 1600kg/cm2 by the hard-rolling method. Aluminum is highly resistant to corrosion. When exposed to moist air, aluminum forms a thin film of oxide at the top, which is impervious to air/moisture, and thus saves the metal from further corrosion. 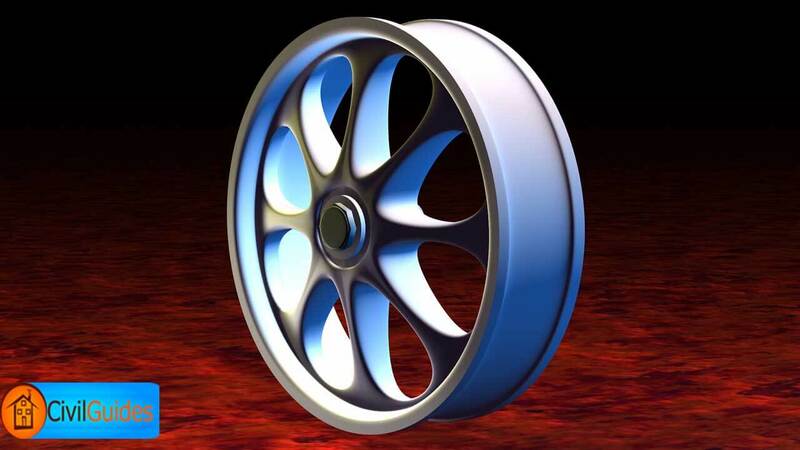 Following are the alloys of aluminum. Following are alloys of aluminum. Metallic copper and its various alloys have been used in engineering industries and for many other activities from 100 of years. It is very malleable and ductile so that it can be converted into any desired shape. It has excellent joining properties, i.e., it can be joined by almost all the common methods: welding, soldering, brazing and riveting. It has a very high electrical conductivity. It has good resistance to corrosion. It has a reddish color and a bright lustre. It is highly malleable and ductile. It has a melting point of 1083 centigrade and boiling point of 2595 centigrade. 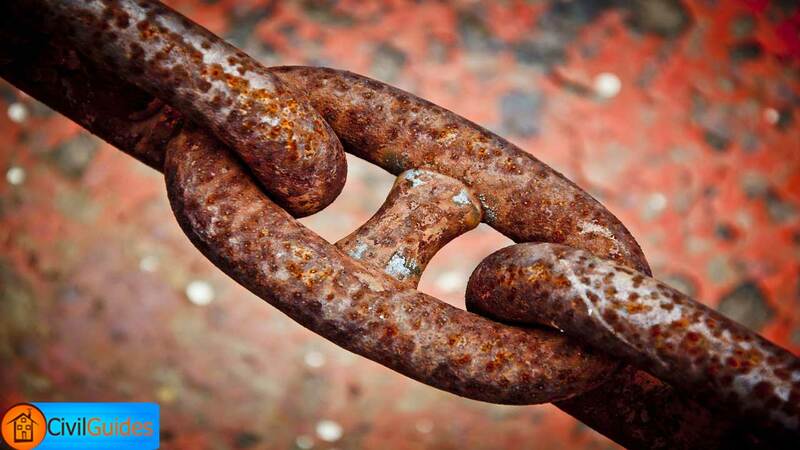 The metal is quite resistant to corrosion. Its specific gravity is 8.93. Lead has been used for centuries in buildings and other engineering industries. Lead is extracted from three chief ore minerals. The metallic lead has following properties. It has bluish Grey color. It has typically brilliant lustre. It has a high density – 11.35 g/cm3. It has a low melting point of 327 centigrade. It has a high boiling point of 1744 centigrade. It is very good to resistance to corrosion. In general, lead doesn’t form many alloys. Its alloying capacity is limited because of its low melting point. Following are more important alloys of lead. Zinc is another non ferrous metal. The chief ore mineral of zinc is sulfide called sphalerite. Smithsonite, Zincite (ZnO) and Calamine (ZnCO3) are other common zinc minerals. 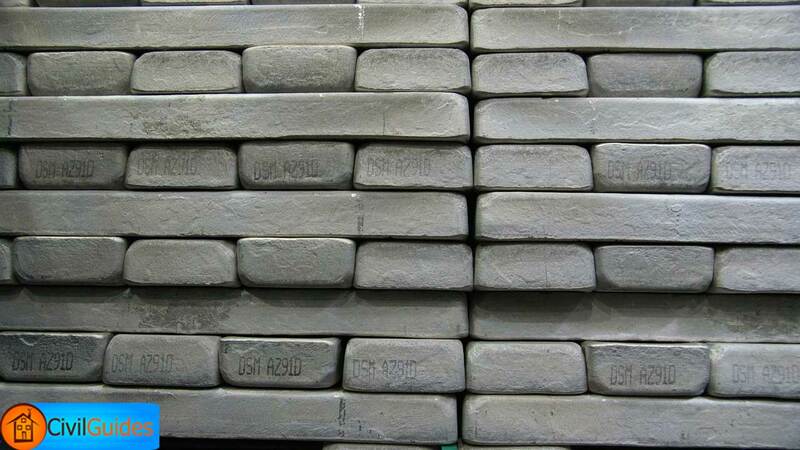 Following are some important properties of Zinc. It is whitish and has bright lustre. It has a density of 7.14 g/ml. Its melting point is 419 centigrade and boiling point is 907 centigrade. It has a tensile strength of 700-1400 kg/cm2. Commercial zinc (spelter) is easily attacked by acids. Zinc surface is covered by a dull basic zinc carbonate in moist air. 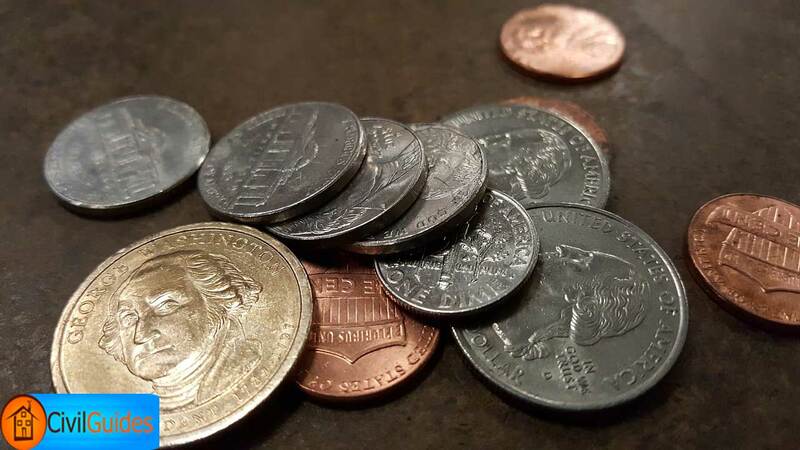 Nickel was first discovered in 1750. It is manufactured from its sulfide ore named pentlandite [NiFe(S)]. The ore is first concentrated by froth flotation process and then roasted and smelted like other non ferrous metals. Following are some important properties of nickel. 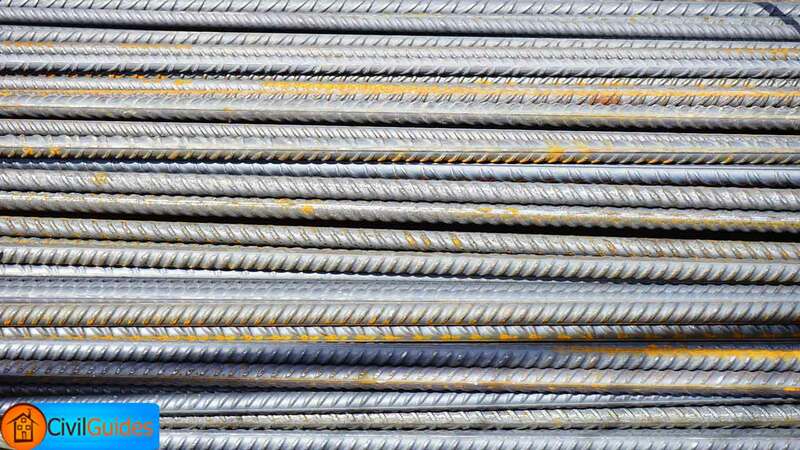 It is the strongest metal in all the non ferrous metals, having tensile strength ranges from 4200-8400 kg/cm2. 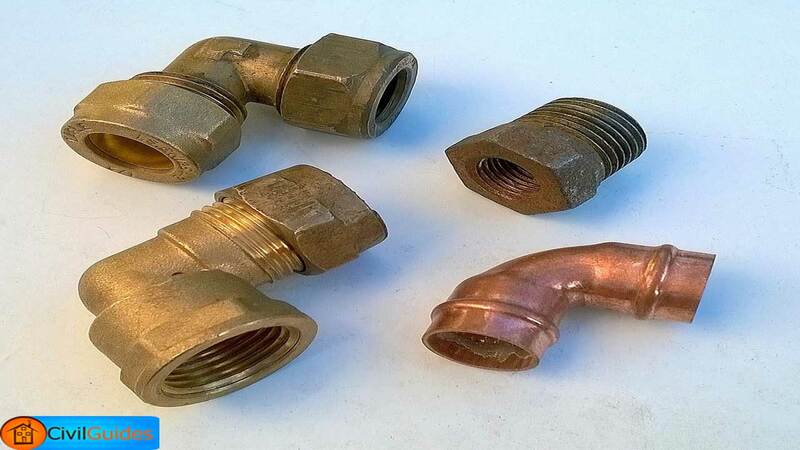 It is highly resistant to many types of corrosion. Thus it can withstand in water, moisture atmospheric gases, etc. Its modulus of elasticity, thermal and electrical conductivity is the same as steel. Its density is 8.9 g/cm3. Its melting point is 1455 centigrade. Magnesium forms the lightest materials used in structural engineering. It has a set of properties that make it suitable as an engineering material. It is very light with a specific gravity of 1.74. Its melting point is 650 centigrade, which is similar to that of aluminum. It has a poor corrosion resistant. It has quite high thermal conductivity and a high coefficient of thermal expansion. It forms very useful alloys with some metals like aluminum, thorium, zinc, zirconium, and tin, etc. So, finally, our article on Ferrous metals and Non Ferrous Metals reach to an end.. If you have any questions or I missed something in this article then don’t forget to ask me. And one thing more don’t forget to share it. Thanks!. Abrasive Definition and Types of Abrasives its Forms and Applications. What is Paint, Definition, Properties, & Components of paints? What is Aggregates | Aggregate Definition & its Types?